If you are looking for a proven alternative augmentative communication (AAC) grid set for your automoME (environmental control unit/speech generating device) or Grid Pad, look no further! WordPower 60 is now available and it is absolutely awesome. WordPower 60 was created as a result of the incredible response to last year’s release of WordPower 100. While both are ideal AAC models, WordPower 60 is designed to be more accessible for people requiring larger or fewer cells. It also includes many accessible apps allowing users to send e-mails, browse the Internet, send SMS messages, listen to music, participate in chats and more. WordPower 60 uses an evidence-based core vocabulary designed to make developing sentences quick and easy. WordPower 60 is ideal for quadriplegics and individuals with spinal cord injuries because its larger cells better accommodate motor and visual difficulties. It is also popular with children and those at earlier stages of language development. The regular addition of innovative grid sets like WordPower 60 is yet another reason why ASI products are powered by Grid 3 software. It is easy to add WordPower 60 to your autonoME or Grid Pad. Simply update your Grid 3 software to version 3.0.24 (or later) and navigate to the “Add Grid Set” menu. WordPower 60 is found under symbol communication. 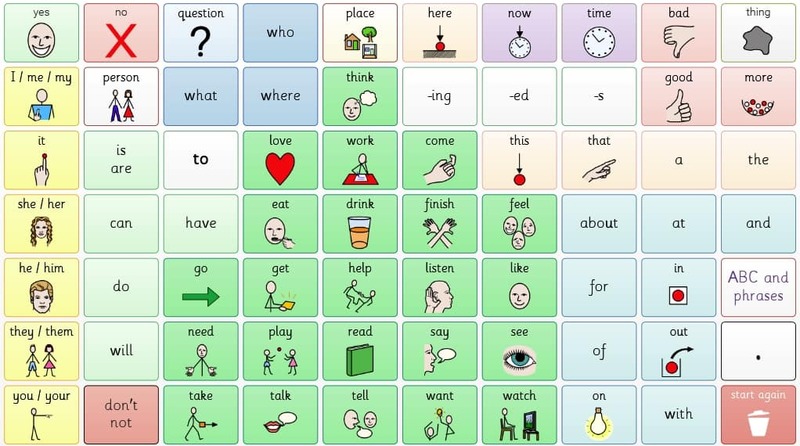 Have you tried either WordPower 100 or WordPower 60 specifically for AAC? If so, drop us a quick line and let us know what you think! Grid 3 Software Update – Version 3.0.25 Parachuting, Anyone?